Enjoy Tennis finished up another successful season at the end of June followed by a small party in the clubhouse. 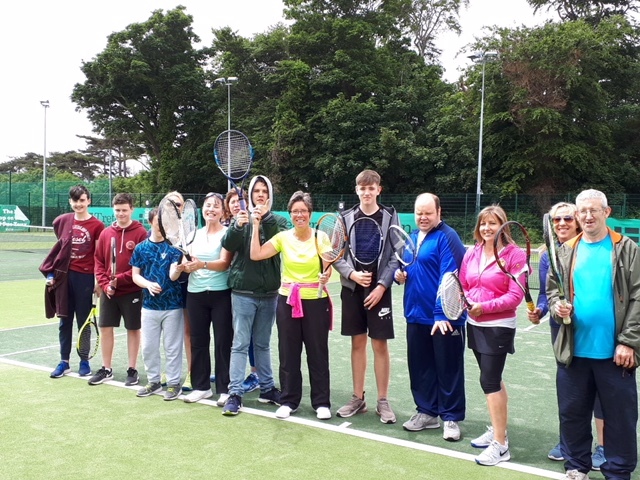 We’ve been running for over a year now and would like to express our thanks to our coach Debbie Brown, our volunteers and all our players from Prosper Fingal who come along every week in all weathers to learn how to play Tennis coupled with some fun and laughs along the way. If you are interested in volunteering please get in touch with the club and we’ll let you know what’s involved. We’ll be back up and running in early September.